Are you a third or fourth year veterinary student on clinics or a first or second year student thinking about what will it be like on clinics? One important minimum database parameter you may have to measure for your patients is their blood pressure. It’s a super important measurement to monitor so make sure your skills are on point! 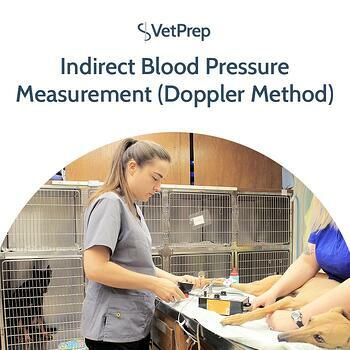 In case you’re a pro that just needs a refresher or if you’re just learning the steps, read below to get an overview of blood pressure measurement via Doppler! An Important point to note: this method primarily measures systolic blood pressure. An alternative indirect blood pressure method which provides measurements for systolic, diastolic and mean arterial pressure is the oscillometric method.